Precision Glass & Optics (PG&O), global experts in optical manufacturing, precision thin film coatings, and customized optical solutions, offers an extensive variety of in-stock glass substrates, including the robust Schott Supremax 33, a rolled sheet borosilicate glass used for applications that require low thermal expansion, high thermal resistance, and low density (12 % lighter than soda lime glass). 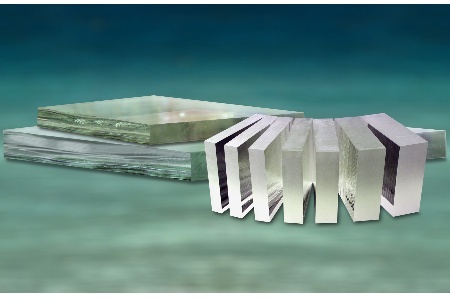 Other in-stock substrates include BK-7; Corning 0211; Corning Eagle 2000 XG; Corning ULE; Glaverbel float; OCLI front surface mirror; Pilkington Optiwhite; PPG Starphire; Schott’s AF-37, AF-45, and B-270; fused silica; fused quartz, and more. PG&O’s expansive in-house glass inventory allows the company to deliver finished optics in record time. Many optics are available for shipping within 48 hours. By implementing finely-tuned manufacturing processes with three large coating chambers (up to 72 in. ), the company’s expert engineering staff is able to provide on-demand optical fabrication services and high-volume production to meet or surpass customers’ most stringent requirements. Precision Glass & Optics (PG&O) has delivered high quality, precision glass, optics, and optical coatings for a variety of applications for over 25 years. The company has an extremely large inventory of glass products and a full optical fabrication shop to provide advanced optical coatings and manufacturing large mirror blanks. Other services include CNC machining, polishing, slicing, sawing, scribing, grinding, edging, assembly, and more. With three large coating chambers, and an expert, in-house engineering staff, our cost-effective and reliable optics and advanced thin film coatings are ideal for military, aerospace, biomedical, imaging, laser, digital cinema, solar markets, and more. For more information, visit www.pgo.com.